Protect banking transactions from fraudulent activity by identifying suspicious patterns and links between account holders as well as ensuring safety for online commerce by verifying transaction accuracy and acting upon red flags. 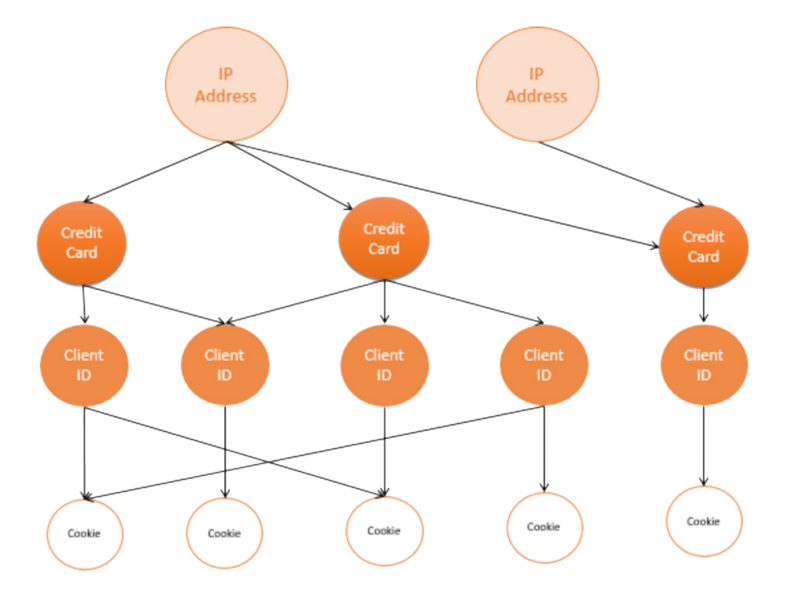 Assign properties within relationships themselves as links in order to quickly traverse entire data trees and identify fraudulent activity. By using a graph database engine and harnessing the flexibility & power of documents, OrientDB is able to traverse entire trees of data in milliseconds. With its enhanced security features such as WAL (Write Ahead Log), Kerberos support, auditing and non-stop backups, data is safe from prying eyes or induced crashes. Quick, efficient and secure data retrieval capable of quickly identifying suspicious activity and fraudulent transactions. Banks and insurance companies lose millions of dollars in fraud every year. As online data grows, fraudsters have become increasingly capable of performing elaborate scams, identity theft, fraud rings and many other elusive ways to defraud customers and enterprises. Their methods are sophisticated and often times, their tactics go unnoticed until it is too late. Detecting Fraud, especially while it is happening as opposed to after, is no easy task; yet it is not impossible. Relational databases are simply not capable of forming the correct, real-time connections needed to successfully detect crimes as they unfold. For this, companies have turned to graph databases as a means to detect weak or suspicious links between datasets. Insurance fraud, for example, is especially difficult to detect as they regularly involve multiple people, which on the surface are seemingly unrelated. Detection of these is dependent on discovering social links between participants making false claims. Using relational databases to detect fraudulent claims can prove especially difficult. Table and columns are not suitable for forming complex relations between datasets. Joining tables can prove time consuming as well as taxing on system performance, which makes them difficult to use when attempting to detect crimes in real time. Contrary to relational databases, graph databases are relational in nature and are inherently capable of forming links between pieces of information, which can be easily traversed to detect suspicious activity. Whereas relational databases rely on primary keys to join disconnected pieces of information, graphs work by forming a web of interconnected data and allows customer details, transactions and relations to be formed quickly, are easily observable and always available. In fact, a simple visual representation of a graph is enough to detect links between individuals and pieces of information. Graph databases are perfectly suited to store information and relations in a manner that lends itself to uncovering strange data patterns. However, normal graph DBs still make use of document databases in order to store transaction data. With regards to fraud detection, integrating multiple systems is not optimal when hoping to store secure data that must be travelled quickly. How Does Bank Fraud Happen? Accounts are opened by seemingly normal customer s.
They may act alone or form fraud rings. When least expected, they act quickly, maxing out credit cards and disappearing before they can be caught. Successful first party fraud is carried out by exploiting information that takes time to verify, that can be shared with other people, or that is simply overlooked due to the inability (or complexity) to properly link it to its source. By using real information such as telephone numbers and real addresses, scammers may appear to be regular clients, though these pieces of information can be used to create multiple identities. How Can OrientDB Protect the Banking, Insurance and Online Retail industry? By treating every edge and vertex as a JSON document, OrientDB allows properties to be assigned within relationships (links) themselves and does away with document stores all together. Its graph capabilities enable parts of or entire trees and graphs of records to be analyzed in just a few milliseconds. When it comes to quickly reading client data to find suspicious activity, multiple systems are simply not an as effective. E-commerce fraud relies on utilizing information which could possibly be shared with other clients. IP addresses, credit card numbers, and cookies could all have multiple combinations . Detecting fraudulent transactions online is achieved through the correct analysis of suspicious patterns involving tracking cookies, user IDs, IP addresses and credit card information. A single IP address utilizing multiple credit cards, with different Client IDs and shared cookies should raise flags for suspicious activity. Measurable Insights. System reliability is also of utmost importance for companies dealing with millions of transactions while safekeeping sensitive personal information. Server node crashes can lead to lost data as well as leave systems vulnerable. OrientDB uses WAL (Write Ahead Logging) to restore database content after a crash. Any pending transactions are automatically rolled back. Immediately, the server cluster redistributes the load across the available nodes and all the clients connected to the node in failure are automatically switched to an available server node with no fail-over to the application level. 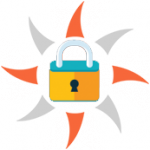 The new security features introduced in OrientDB 2.2 provide an extensible framework for adding external authenticators, password validation, LDAP import of database roles and users, advanced auditing capabilities, and syslog support. 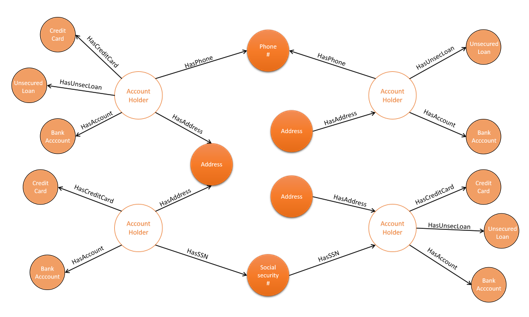 OrientDB Enterprise Edition provides Kerberos authentication full browser SPNEGO support. When it comes to database encryption, starting with version 2.2, OrientDB can encrypt records on disk. This prevents unauthorized users from accessing database content or even from bypassing OrientDB security.